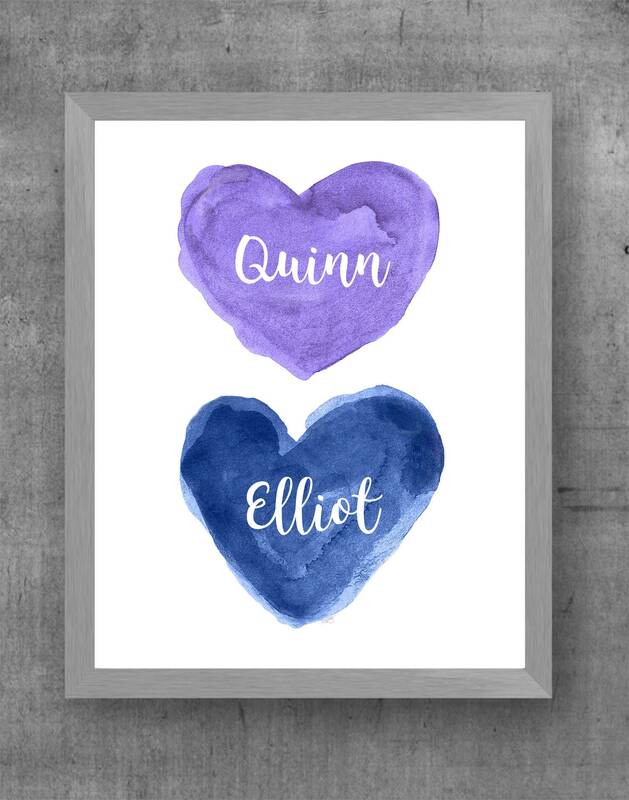 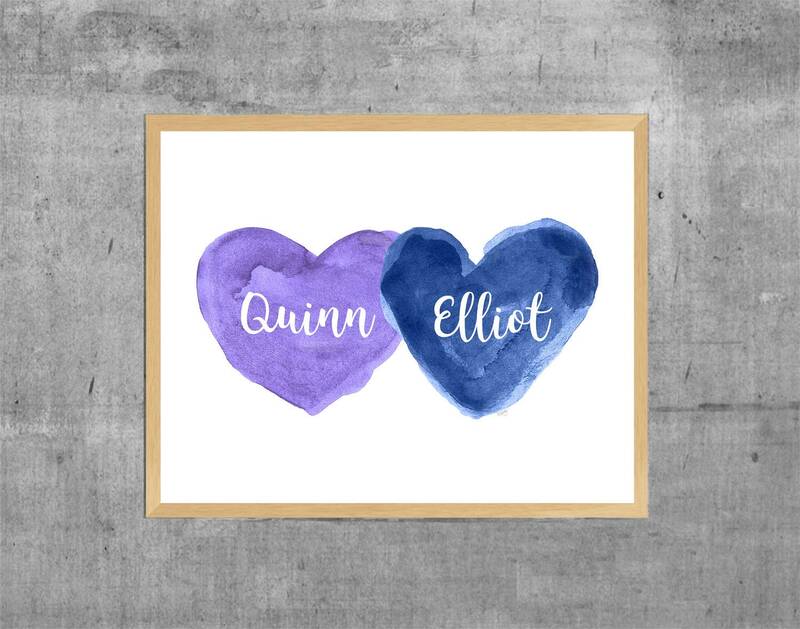 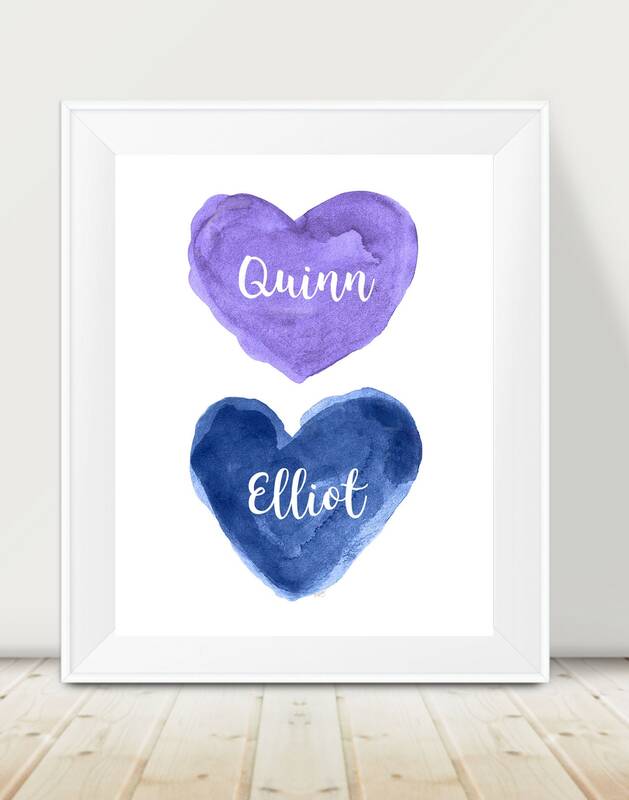 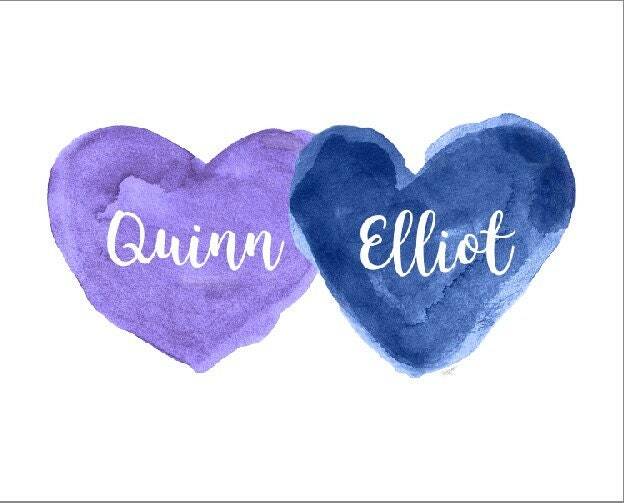 A personalized navy and purple watercolor heart print created from my original watercolor painting. 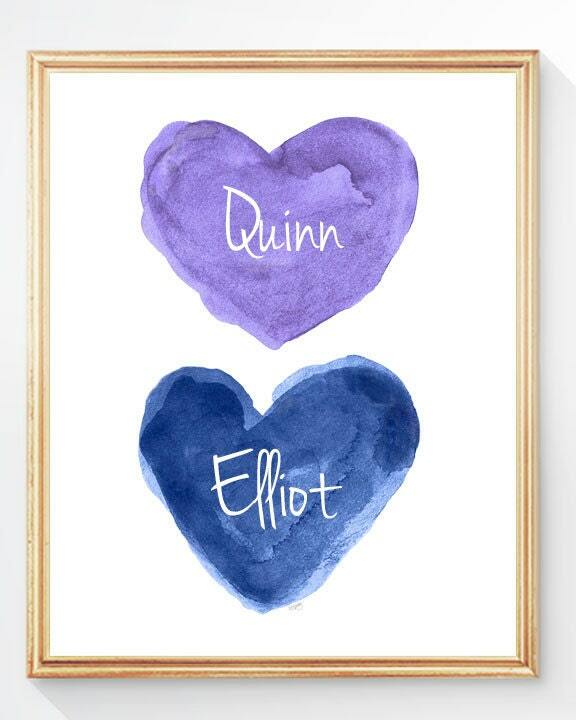 this i=would work well in a boy girl room or playroom. 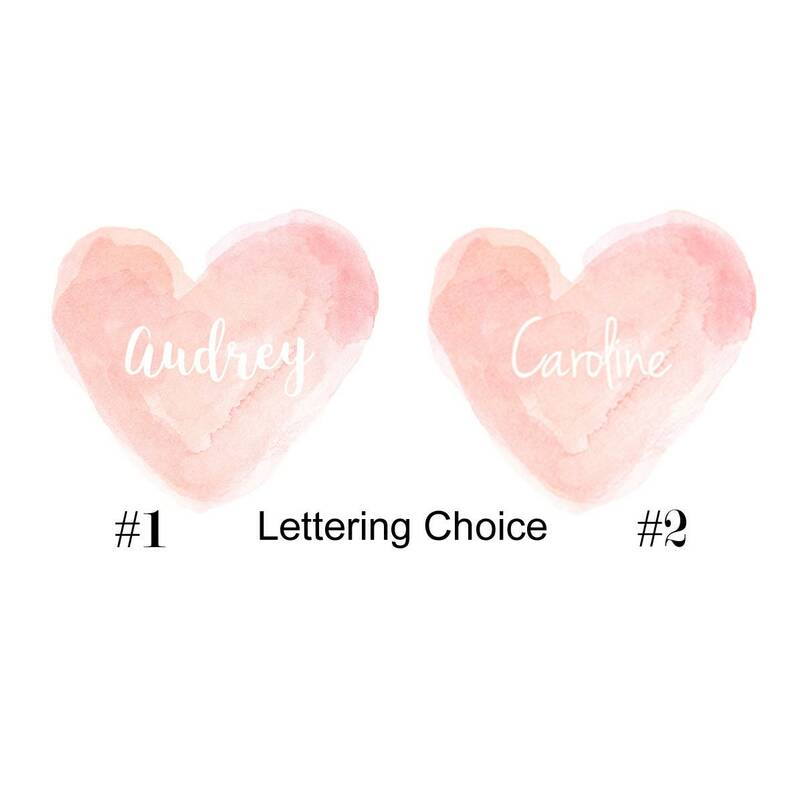 Just leave the names in the notes to seller at checkout along with the name that goes with each color heart. 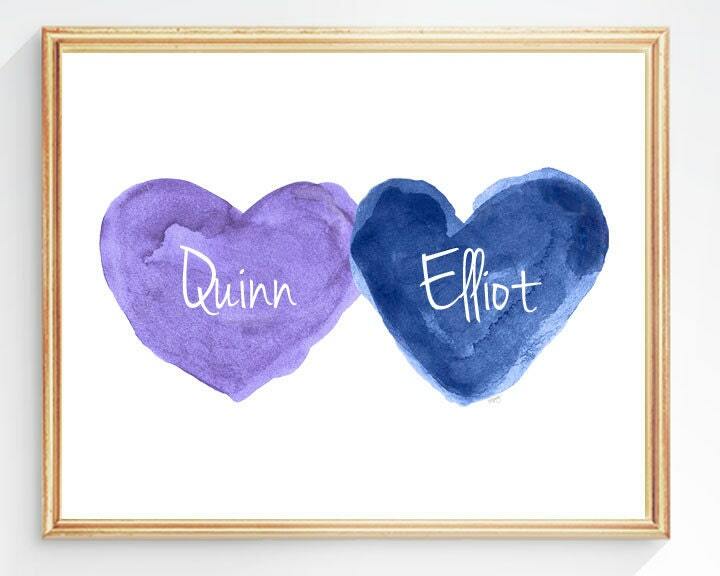 Fits perfectly in a standard 11” x 14” frame.